Music boxes are loved by kids, teens, and adults. They make awesome gifts for any occasion, and they simply brighten peoples’ days over and over again. You’ll find a lovely selection of music box collectibles featured here. Some from The Bradford Exchange, and others from Amazon…all brought to you in one spot, so you can find the ideal music box for you and the special people in your life. Place a music box in your bedroom and your bathroom, for pretty music any time of the day, and to hold your jewelry and other small treasures. 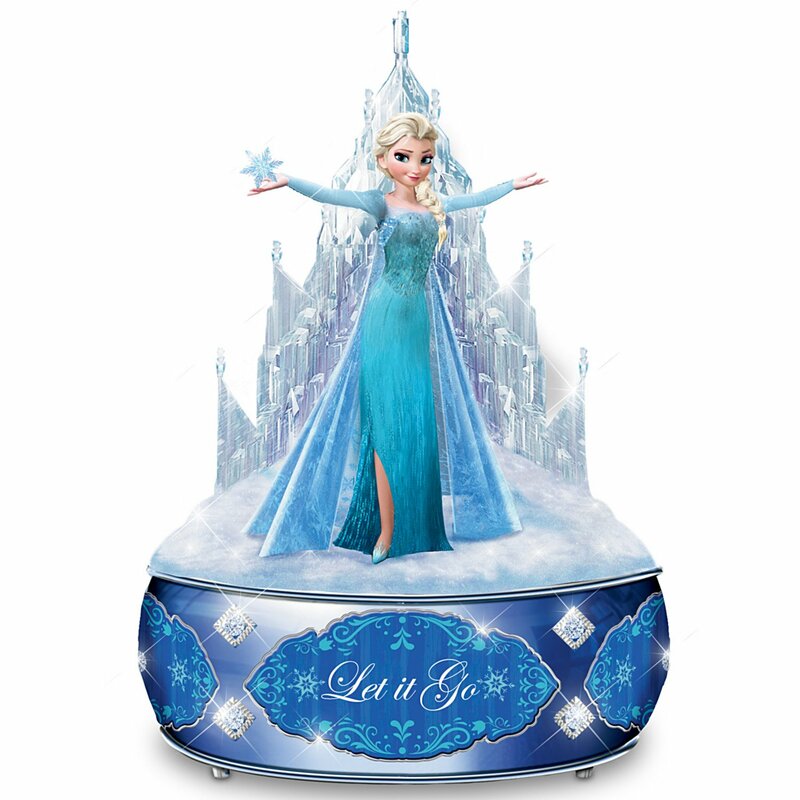 ​These pretty music boxes feature Disney characters or themes that we all know and love. 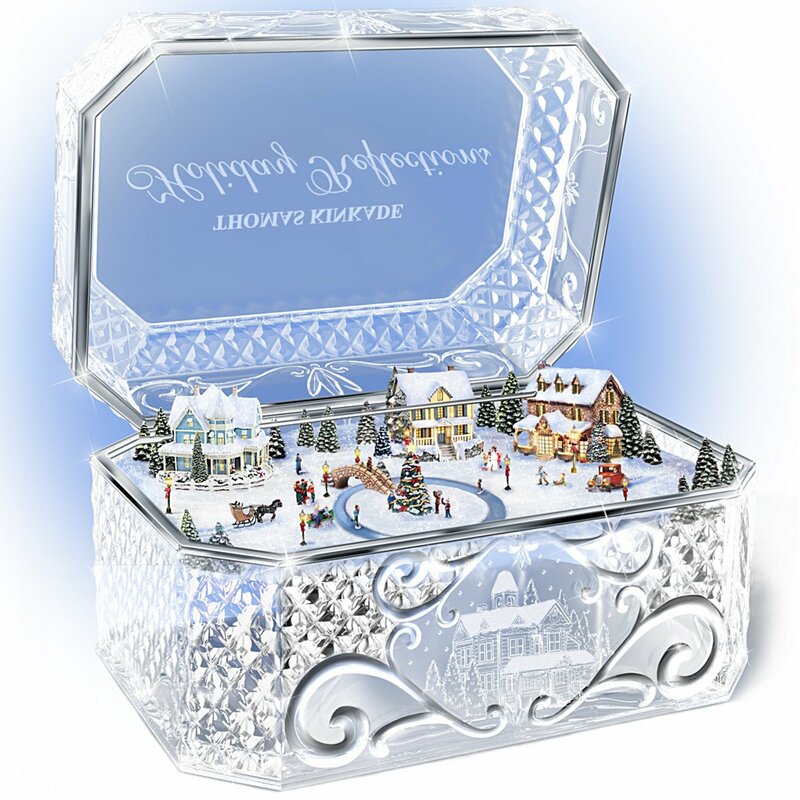 Below are some more gorgeous Thomas Kinkade Music Boxes that you’ll love to display and to give as gifts to the special people in your life. ​ You have a huge selection to choose from below, so you’re sure to find that ideal music box! An exclusive collectible music box featuring the work of artist Sandra Kuck, available only from Ardleigh Elliott. This beautiful piece of art will look stunning in your home! It is crafted of hand-underglazed Heirloom Porcelain with scrollwork ornamental topper that embraces a glittering simulated amethyst crystal. 22K-gold bands, 22K gold-finished feet and delicate golden beading. 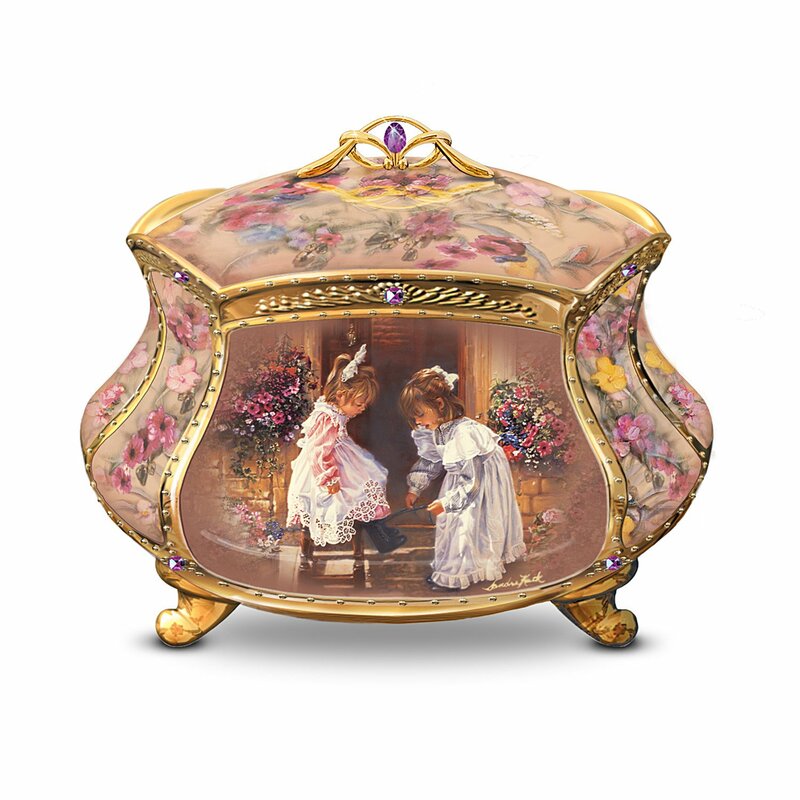 This collectible music box is elegant, and it’s something you’ll treasure for a lifetime. If you collect music boxes, or simply enjoy ones that grab your attention, then you’ll want to experience the beauty of the ones showcased below. Make memories for little girls and teens by giving them a special music box, and bless others in your life with one for any occasion.